People of Darkness, Page Proofs. 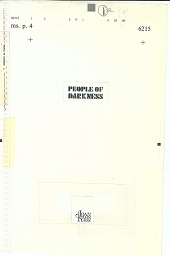 This is a galley proof of the novel that shows layout and formatting of the first edition of the work. The proofs are not available online, but may be studied in person at the Center for Southwest Research.